Today's reality calls for “radical reformist” struggle. Ralph Miliband can be a guide. The joke almost writes itself. 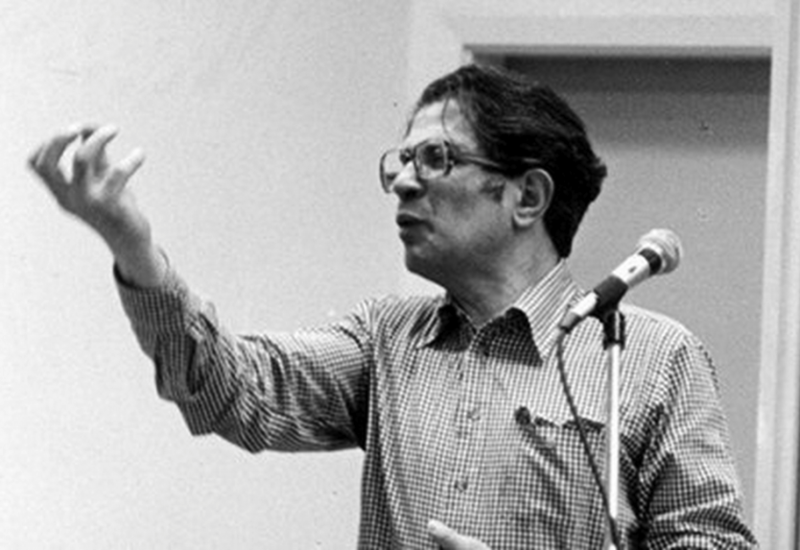 Ralph Miliband, the socialist intellectual, devoted an entire book to cataloging the British Labour Party’s history of tepidity and a good chunk of his career warning leftists that the party was not a vehicle for winning socialism — only to raise two sons who ultimately rose to the party’s highest echelons and proved him correct by continuing its rightward drift. Ralph died in 1994, sixteen years before David and Ed Miliband faced off for the Labour Party leadership. Ed won, and helmed the party for the next five years; he resigned in May after Labour’s thumping in the general election. His successor, whomever it turns out to be, will almost assuredly confirm Labour’s role as a home for those looking to manage capitalism, not transcend it. But while another centrist leading the party may be taken as an indication of the Left’s irrelevance, the elder Miliband wouldn’t have conceded as much. Class exploitation and inequality didn’t disappear with the advent of labor laws or the welfare state or the Internet — they are at capitalism’s core. And as long as the system continued — characterized by “the subordination of the many to the few, on the basis of property and privilege” — it would generate opposition. As Miliband contends in the title essay of an excellent new collection, Class War Conservatism and Other Essays, Margaret Thatcher’s brutal assault from above may have destroyed the livelihoods and rights of workers, but resistance from below, however inchoate, won’t vanish. Similarly, capitalism’s flaws create an inextinguishable desire for a more secure, dignified existence. It was this perspective — simultaneously hopeful and clear-eyed, fiercely principled but tethered to reality — that made him the most impressive Marxist of his generation. Intellectually interposed between Soviet Communism and Western European social democracy, and withering in his critiques of both, Miliband advanced a vision of socialism that took democracy as the ultimate good. It’s a vision that remains just as relevant today. Miliband was born in Brussels on January 7, 1924. A Polish Jew in origin, he and his father fled Belgium shortly before the country surrendered to Nazi Germany in May 1940. After serving in the British Royal Navy and graduating from the London School of Economics, he taught briefly at Chicago’s Roosevelt University (then called Roosevelt College) before securing a position at his alma mater. Throughout his career, Miliband was a professor at a variety of academic institutions, including the University of Leeds, Brandeis, and the City University of New York. In 1961, he released Parliamentary Socialism, a sober but lacerating indictment of the Labour Party that significantly elevated his stature in the United Kingdom. Three years later, he cofounded the annual journal Socialist Register, an exceptional publication that he helped edit until his death (but fortunately didn’t perish with him). It is from this publication — as well as New Left Review, on whose editorial board Miliband also briefly sat — that the bulk of the eighteen selections in Class War Conservatism are drawn. While uneven in quality, together the book’s collected pieces are a good distillation of Miliband’s worldview, central preoccupations, and, not unimportantly, manner of presentation. Indeed, his very prose style incorporated a potential tension: an aversion to orthodoxy mixed with unshakeable conviction. He would habitually stake out a forceful position, then add nuance, caveats, qualifications: “This is in no way to suggest,” “It is worth noting,” “The point has to be handled carefully.” Incantation and sloganeering, he repeatedly insisted, were no substitute for sober analysis. “The Coup in Chile” is Miliband at his best — all the more impressive since he wrote the essay shortly after the 1973 putsch of socialist President Salvador Allende. Here he writes with verve and perceptiveness, scrutinizing Allende’s course of action and its implications for transitions to socialism, and only pausing to excoriate the ruling class so comfortable with bringing down a democratically elected government that pledged absolute fidelity to the constitutional order. But his indignation doesn’t addle his critical faculties. “In these matters,” Miliband concludes, “there is one law which holds: the weaker the government, the bolder its enemies, and the more numerous they become day by day.” It’s a harsh judgment to render against Allende, but Miliband was never one to simply memorialize. The essay is one of several in which Miliband explains the motivation behind the United States’s Cold War actions. Strip away America’s “freedom and democracy” rhetoric, and its aim in developing countries around the world was clear: to quash Third World social reform and revolution. And who were the willing accomplices of US imperialism? None other than the British Labour Party and other Western European social-democratic parties, without which the Americans couldn’t have established their NATO bulwark against supposed Soviet expansionism. The subject of Miliband’s second book, 1969’s The State in Capitalist Society, is also well covered in the new collection. Miliband sought to provide an empirical basis for a more nuanced understanding of the state, and just how much freedom it had from capitalists. It was hardly an academic exercise — some of the most important questions confronting the Left today turn on our understanding of the nature of the state and how it works: the function of the police, the constraints that progressive governments face, the types of reforms we should be advocating. In capitalist democracies, Miliband argued, the state has “relative autonomy.” Neither fully controlled nor fully in control, it is instead capital’s partner. Social-democratic, liberal, and conservative parties enter and exit government, and this changing of hands isn’t inconsequential. Some will aggressively court capital, others will do so begrudgingly. But in the end, what unites them is a commitment to shoring up “business confidence.” Apoplectic investors, after all, can torpedo the economy. Even if socialists take power, they must contend with a state apparatus that they don’t wholly direct. The bureaucracy, the police, the army — each to varying degrees is generally hostile to radical goals. In addition, the deep power and resource inequities that characterize capitalist economies mar the most basic of democratic principles: one person, one vote. Far from being bastions of freedom and self-governance, then, capitalist democracies severely restrict popular sovereignty. To deepen democracy, Miliband argued, both the economic context in which state decisions are made, and the state itself, must be transformed. Socialism is nothing if not the democratization of the state and the democratization of society. Without positing a seismic shift in Miliband’s thinking, it’s fair to say that the essays contained in Class War Conservatism reflect the perspectives of the mature Miliband. Just one essay comes before 1968, the year the Soviet Union repressively squashed the Prague Spring and Miliband consequently became convinced that the country’s system was intractably authoritarian — that the liberalization of the Khrushchev years hadn’t been the cautious first steps toward broader democratization, but a brief departure from a repressive essence. He later abandoned any such predisposition. So if he didn’t favor the Soviet model, what did Miliband’s conception of socialist democracy look like? For him, a socialist economy in its first stages was still a mixed one, but “the position of the public sector vis-à-vis the private sector is reversed.” He desired socialization — collective, democratic ownership — more than old-fashioned state control, seeing in it the grounds for a pluralistic economy that nonetheless would sideline the profit motive as the organizing principle. In terms of democratization, Miliband advocated undertaking “a search, which is bound to be arduous and problematic, for an adequate relationships between two forms of power — state power and popular power.” He favored retaining representative bodies, a separation of powers, and other characteristics of liberal democracy. But he held that the political equality formally guaranteed in capitalist democracies would be more fully realized with an egalitarian economic base. Miliband was hardly exhaustive in sketching out a socialist future. There are others who have done so much more ably. What he provided, however, was a practical politics — “revolutionary reformism,” as he described it in an essay unfortunately omitted from this collection — that would move us closer to breaking with capitalism, and a pattern of thought and set of principles that should inform such a transition. Miliband’s final book, the posthumously released Socialism for a Sceptical Age (whose cover looks more like a tawdry romance novel than a socialist tract), demonstrates that the sixteen-year-old who declared his allegiance to socialism at Marx’s grave hadn’t strayed from his youthful convictions. But he never confused dogma with principle. “What needs to be compared is not text with text,” he wrote in the 1965 essay “Marx and the State,” “but text with historical or contemporary reality itself.” Then as now, recitation of catechisms will only yield impotence and isolation. Miliband’s work remains salient because our social order is still fundamentally unjust. The “class-war conservatism” that he described in its early stages has swollen in size, spreading a more callous form of capitalism and rolling back hard-fought gains workers thought they’d never lose. The United States is still arrogantly marching around the world and declaring leftist governments a “national security threat.” And the American government, which mainstream political scientists are openly classifying as oligarchic, is killing the most oppressed almost daily. This reality calls for “radical reformist” struggle: working to rebuild the welfare state and economy along more egalitarian and ecologically sustainable lines, fighting authoritarianism, and organizing against militarism. But Miliband urges us to seek more: more equality, more democracy, more justice. And twenty-one years after his death, it is this expansive vision — not those of Ed or David, varying hues of Labour Party officialdom — that has a chance of routing class-war conservatism. Adapted from In These Times .